Staffan Holm is a Swedish fur­niture design­er. His design is not primar­ily about prac­tic­al func­tions – but about emo­tions. Since we already have so many things around us, Holm thinks that each new object pro­duced needs to touch you emo­tion­ally. 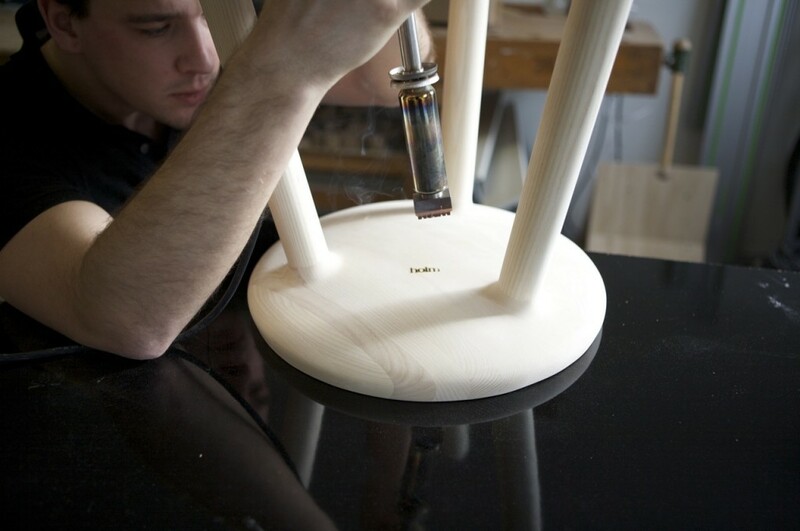 Och Studio designed the pack­aging for Holm’s lim­ited edi­tion Milk Stool. In an attempt to apply Holm’s thoughts on design, Och Studio used a mix­ture of print­ing tech­niques (burn marks, let­ter­press, off­set, hand draw­ing) and con­trasty mater­i­als such as thin paper qual­it­ies and sturdy card­board. The end res­ult is poet­ic in the sense that every piece of the pack­aging tells a story about the pro­duct as well as the pack­aging mater­i­als.